Jun 01, 2016 Your concern was forwarded to me and I apologize for any miscommunication or trouble you are having. Our general manager has made several attempts to contact you and I believe will speak with you today. I am researching the part that was supposed to be provided for your vehicle and will make sure we address all concerns. With regard to your need to get out of your lease the Early Termination Disclosure is a document you signed at delivery that explains the terms of the contract and discloses early termination conditions. Your lease may absolutely be terminated at this time. If your vehicle is of equal value to the payoff, just as with any financial contract, then you will owe nothing more. If it is worth less you must pay the difference, which I can imagine is where the trouble is here. There are no penalties. 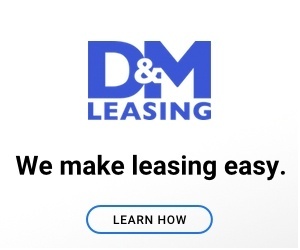 If there is any document, email or other correspondence from anyone here at D&M stating you can terminate your lease after only two years please send it to me and we will honor it with no questions. Otherwise we will make arrangement to help you achieve the best possible result within the terms of your contract. I am very concerned about your situation and will do everything reasonably possible to help. We generally do an exceptional job for our clients and of more than eleven hundred new transactions, 65% of our business every month is from repeat and referred customers. I would like very much for you to be satisfied with whatever outcome we can arrange and we will work hard towards that goal with your help. Please respond to our general manager Cody Kennemer, his email address is ckennemer@dmautoleasing.com and the direct line to the Dallas office is 972-239-2222. Don’t hesitate to contact me directly if I can be of service. My assistant is Lisa at extension 394 if I do not answer my office phone. She can track me down. I want to first off say that my issue was resolved and Cody Kennemer not only took care of my situation but he went over and beyond. If you would like to have your problem resolved and you have a serious issue that needs to be addressed. I highly recommend that you go see or talk to Cody Kennemer. He from the very beginning was very understanding did everything in his ability to make this entire situation right and fixed it to the best of his ability. My Wife and I are 100% satisfied with the end result and for that reason I will be back to work with Cody Kennemer. I have purchased over a dozen vehicle is my lifetime and honestly no lie working with Cody Kennemer has been the easiest and the best experience I have have gone through in car buying history by far. That being said for what he did to resolve this matter and his true sincere understanding and care for the entire situation keeps me his customer for life. Thank you Cody Kennemer and D & M leasing for making this entire situation right and going over and I mean over and beyond. I will be back for my next purchase to work with Cody. Worst experience in car buying history. I was 100% completely taken advantage of and wish I would have never leased a vehicle through this company. Not only did the salesmen lie to me but not even a few months down the road when he was supposed to retrieve a part for the vehicle and follow up with me about mileage he was gone. I will never do business with this company it is really sad how nowadays car establishments take full advantage and completely lie to make a few dollars off people. My advice to anyone is to steer clear and read the fine print. Actually read the contract. Do not trust what the individual is saying because it is far from the truth. I was told I would be in my current lease for two years and at that point I would be able to get in any vehicle I want. Well that was so far from the truth and it has put my family in a complete bind. The vehicle had been in the shop multiple time for issues and was not in no means a reliable vehicle. I actually had to take a medical leave of absence from my job do to a back injury and now I have had major surgery and I am disabled and have no income at this time. This company said there is nothing they could do to help. It is sad how some companies will just leave you high a dry when you thought they were a reputable establishment. Do your research and don't get in the same situation as me and my family. Product or Service Mentioned: DM Auto Leasing Auto Leasing. Review #828203 is a subjective opinion of user71335297.